MP Toby Perkins pulled a half at the local Chesterfield and District CAMRA’s Market Beer Festival on Friday 24th October alongside Jane Lefley, event organiser. The Labour Party created the NHS and every time we’ve come into government we’ve fought to protect it from Tory neglect. Today, one in four people wait a week or more for a GP appointment and we have seen the scandal of care visits restricted to just 15 minutes for the elderly. As with every Tory government, Cameron and Clegg’s ConDems have introduced privatisation into the health service and pushed it to breaking point. UKIP’s solution is to complete the sell-off of the NHS and charge you to visit a GP. Only Labour has a plan to rescue the NHS. The next Labour government will create a new “Time to Care” fund worth £2.5bn to invest in the NHS. This will pay for 20,000 more nurses, 8,000 more GPs, 5,000 more care workers and 3,000 more midwives by 2020. This is a fully costed pledge, none of which will come from extra borrowing. The £2.5bn will be raised by a tax on tobacco companies (this is based on an American system which has taxed the profits of big tobacco companies without adding to the cost of a packet of cigarettes); closing tax loopholes used by some firms to move profits out of the UK and avoid corporation tax; and making sure people who earn properties worth more than £2m finally pay their fair share. We will also repeal the Tory privatisation of the NHS. The choice is clear. Only a vote for Labour in May will save the NHS by once again giving it time to care. Today Labour will take another step towards establishing ourselves as the party of small business with a move to support businesses who play by the rules and pay their bills on time. Small businesses are particularly vulnerable to customers who choose to pay their invoices late. Insolvency specialists have estimated that 1 in 5 business failures are simply down to bills being paid late rather than a failed business model. Many big businesses stand accused of using their suppliers as an unofficial credit line by paying them weeks or even months after the due date. The latest figures published by BACs reveal how the problem is growing ever more serious. Britain’s small businesses now carry a burden of £39.4 billion in overdue payment they are owed; sixty per cent of Britain’s small businesses report that late payment is a problem with the average small business waiting for £38,186 in overdue payments; and one in four companies spend over 10 hours a week chasing late payments. Whilst this has been a topic which has brought cross party attention (Labour’s Debbie Abrahams in particular has been a stalwart campaigner) the Government have failed to take significant action. From reneging on a commitment to name and shame large companies who pay late to delaying the implementation of a fairly mild EU directive that offered a little support for action against late payers. Today in Parliament, MPs have a real opportunity to take a big step in the right direction by supporting Labour’s amendment which would ensure that any business paid late would automatically be paid interest by the supplier. This intends to shift the burden of action away from the victims once and for all. It will remove the incentive for businesses to pay late, because rather than saving interest and improving cash flow late payers will automatically pay interest to their suppliers at 8% above the Bank of England’s base rate; and because it is a mandatory requirement to complete this form it will bring the issue of late payments into the light in a way which all previous government measures have failed to do. This exciting plan has won support from across the business community, I hope that today it will unite all those across the political spectrum who recognise that late payment is a business fairness issue but if ministers choose once again to ignore this problem, small businesses can be assured that a future Labour government will take the action they need. Britain is facing the biggest housing crisis in a generation. Less than half the number of new homes Britain needs are being built, and house building is at the lowest level since the 1920s. I’ve spoken to many young people in Chesterfield who have all but given up on their dreams of ever owning their own homes, especially as the average deposit for a home is set to reach an eye-watering £72,000 by 2020. Other local people have told me how frustrated they are that even when there are new developments, too often they get snapped up by buy-to-let investors before would-be first time buyers from our area can benefit. We need to get Britain building again and we need to make sure local people are prioritised so that they benefit when new homes are built. That’s why the next Labour government will build 200,000 homes a year by 2020, and set a course for doubling the number of first-time buyers by 2025. For too long, communities have felt that they have no influence over where new homes should be built. So local authorities will be given new powers to designate particular land as ‘Housing Growth Areas’ where they can use new powers to ensure that new homebuilding goes ahead. To help local first-time buyers, Labour will give councils the power to reserve up to 50% of homes built in the Housing Growth Areas for first-time buyers from the local area, who will have priority access for two months. In addition, councils will be able to restrict the sale of homes in these areas so they cannot be sold to investors as buy-to-let properties. For too many people in Chesterfield the dream of home ownership is just that: a dream. The Tory-led Government has washed its hands of this problem. Only Labour has a plan to build the homes that our country, our local communities and our families need. For centuries, people have come here from abroad to set up businesses, work in our NHS, fight in our armed forces and contribute to Britain. Countries that try to close the door on the rest of the world lose out on investment and international talent. But there must be strong controls and effective rules. Immigration must be controlled and managed so the system is fair for local people and works in the interests of Britain. 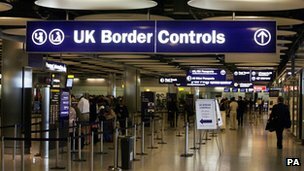 Labour has said there should be stronger controls at the borders and tougher action against illegal immigration. And we need to crack down on the agencies and zero hours contracts that employers use to exploit immigration and undercut local workers. But there are different kinds of immigration – for example there’s a big difference between illegal immigrants breaking the rules to get into Britain, and fee paying university students who bring in billions in investment. The Tory-led Government’s approach isn’t working. Their net migration target is in tatters, with the numbers going up, not down. And there are still serious problems with employers who exploit migrant labour to undercut local wages and jobs – something UKIP would make worse by axing employment rights. That’s why Labour is taking a tough but sensible approach to controlling immigration. One that recognises the benefits immigration can bring, and also sets out practical policies to control immigration, address the impact on jobs, wages and communities and make the system fairer for all. This week the Tories confirmed what we had all long suspected: the ‘nasty party’ is well and truly back, if it ever went away. When asked about the Minimum Wage, Lord Freud, David Cameron’s Minister for Welfare Reform, said that he believes some disabled people are “not worth the full wage”. He even said he would go away to look at this issue, suggesting that the Government would consider it. Disability charities have condemned Lord Freud’s comments and even senior Tories have called for Lord Freud to resign, yet David Cameron has failed to act. Someone holding such abhorrent views shouldn’t be in government and certainly should not hold such an important job. If David Cameron continues to keep Lord Freud in his Government, we will have yet more proof of how he just stands for just a privileged few at the top. In the dog days of this Government, the Conservative Party is going back to its worst instincts. The mask is slipping: the nasty party is back.